This luxury home at 240 Shades Crest Road was built for $931,000 in 2007 and is now on the market for $750,000. The current owners have added a 2 BR suite on the second floor making it a 5 BR, 4 BA home. 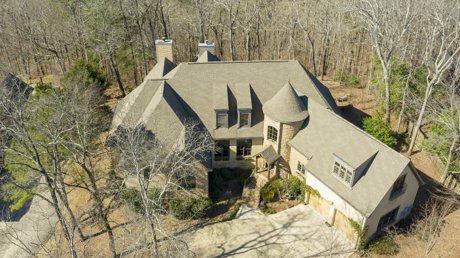 The home overlooks Oxmoor Valley and the Robert Trent Jones golf course at Ross Bridge.